My inability to finish projects and remember to take pictures when it’s daylight is forcing me to blog about Christmas crafts. I don’t want to share too much because some of my giftees read my blog (I think) but I’ll give you a sneak peek. 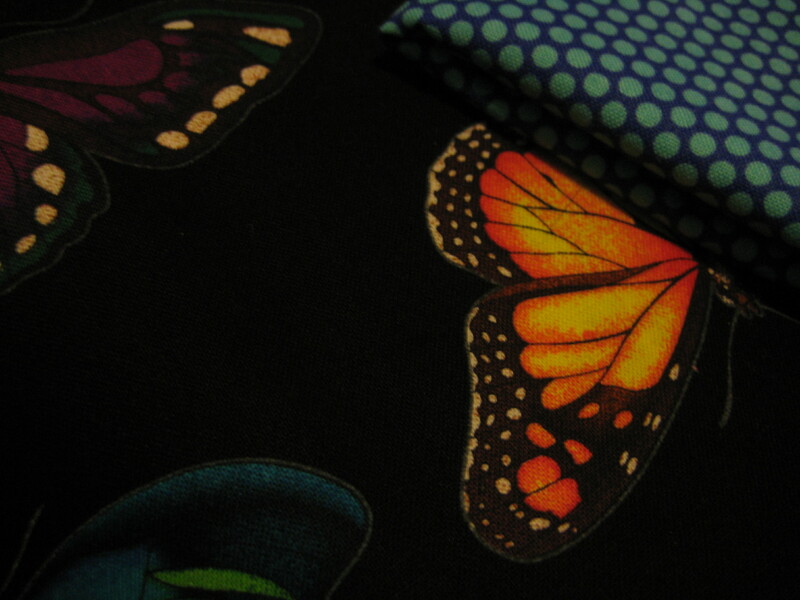 These are the adorable fabrics I got from Piper’s in SLC. I hope you like them as much as I do, because as for the house, I got nothin (except last night I tried chiseling away some plaster in the kitchen hoping to reveal brick, and sadly I was disappointed- no need for any pictures of that). 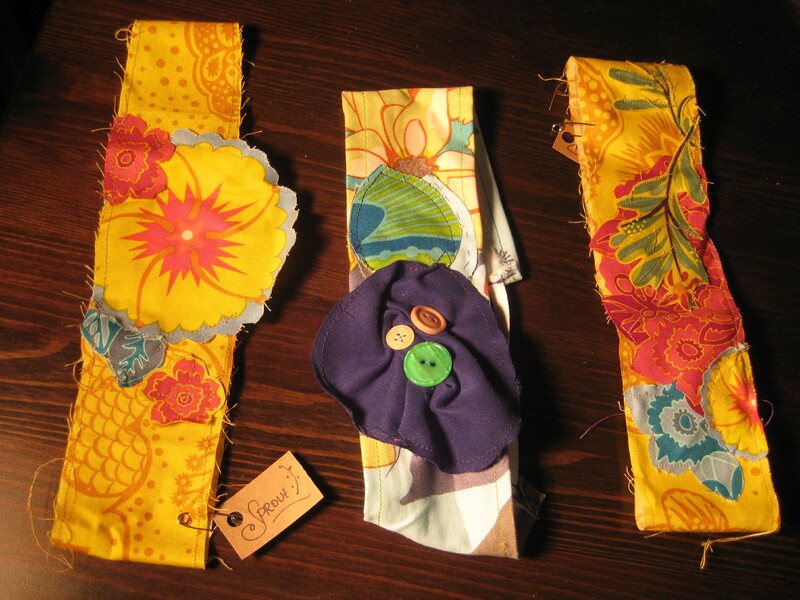 I picked up these adorable headbands for my nieces at my friend Astrid’s boutique, Sprout. I hope they stay on their heads! Here I am wistfully drinking tea from a cup that displays where I’d rather be, while crafin’ it up and listening to The Sing Off. But don’t feel bad if it’s not because I like them all! Also, I like the electronic snow falling on your blog. You’ll just have to see! You make the “electronic snow” sound so romantic.